From the beloved author of the Moonbear series, Frank Asch, comes a charming new picture book about a ‘zoo-brary’ that accidentally loses track of a tiger! 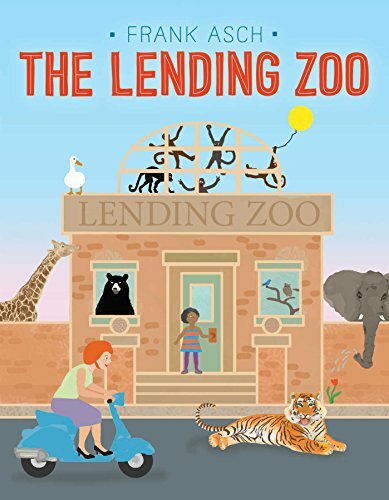 Miss Perkins is happy to be the librarian at The Lending Zoo, a ‘zoo-brary’ that lends out all types of animals—from massive elephants to majestic giraffes. Everything usually goes smoothly: water buffaloes, snakes, parrots, and more are checked out and returned without a problem. But one sunny day Pancake, the tiger, goes missing and Miss Perkins along with her new friend Molly must go on a citywide search to find him! Will they be able to track him down before he causes a commotion all over town?